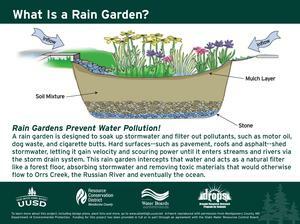 The DROPS project at Ukiah High School packs a wallop: every year, the gardens and basins will filter and clean 4.5 million gallons of stormwater. The DROPS grant also enabled the school to install a 5,000-gallon rainwater collection system to provide water during the summer to their livestock and aquaponics program. The UHS field is used by Ukiah High School Football, Ukiah Lions Youth Football, Ukiah High Girls Soccer and Ukiah High Boys Soccer with no breaks in between. 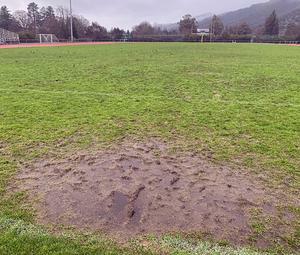 Because this winter brought almost three times as much rain as last year and so many teams played on the field throughout the wet weather, the field is in the worst condition it has been in for years. “I am very proud of our graduates and all of the hard work they put in to succeed. This is not an easy accomplishment given the rigor of our program and the complexity of our modern lives. 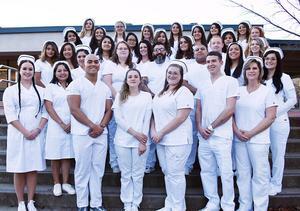 Our community is fortunate to have amazing nurses like these who dedicate their lives to helping those that need it most,” commented Christy Pedroncelli Smith, Principal of the Ukiah Adult School. Children age 5 by September 1, 2019, will enroll in Kindergarten. Children turning 5 between September 2 and December 2, 2019, will enroll in our Transitional Kindergarten Program. 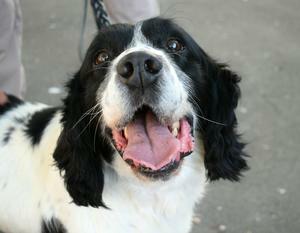 Ukiah Police Department (UPD) and Ukiah Unified School District (UUSD) are excited to introduce their new detection dog, Jack, who will work at Ukiah High School and other school sites throughout the district. Jack’s K9 Handler will be Officer Anthony DeLapo, the UPD Resource Officer at Ukiah High School. 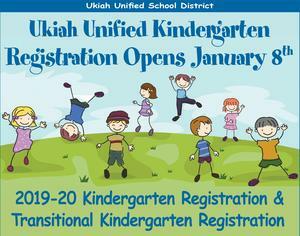 Ukiah Unified School District provides a variety of options for students in middle grades. Results are available for the California Assessment of Student Performance and Progress (CAASPP) tests that UUSD students completed in May of this year. CAASPP is a computer-based testing system that is aligned with California's rigorous standards for English Language Arts and Mathematics called Common Core. Thanks to Senator Mike McGuire’s leadership, local school districts like Ukiah Unified (UUSD) will be able to provide full, nutritious meals to all students free of charge when school starts this year. Senator McGuire authored Senate Bill 138, the Universal Meal Service bill that Governor Jerry Brown signed into law on October 12, 2017.